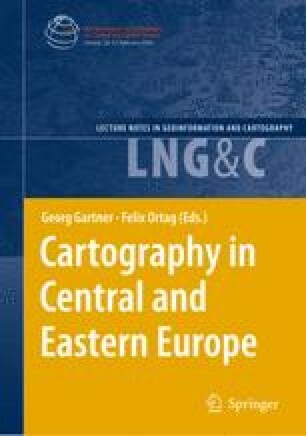 The primary goal of the elaboration of new visualisation methods of spatial data in Poland was to obtain a readable and understandable cartographic composition for any scope of the state topographic and thematic databases. Within the framework of the Project „Methodology and procedures of integration, visualisation, generalisation and standardisation of reference databases, which are accessible in state geodetic and cartographic resources, as well as their utilisation for development of thematic databases” the concept of Multiresolution Topographic Database (WTBD) and new visualisation concepts were established. Several preliminary assumptions were made, aiming at the universality and functionality of proposed solutions. The final cartographic presentation should fulfil the condition of readability, unequivocality and measurability both on the screen and in printed forms. Many variants of the visualisation of reference data and technology of producing the topographic map sheets at the scale of 1:50 000 as a product of WTBD have been worked out. Second task performed within the frames of the Project was to develop a prototype of WTBD webservice which would make state reference data accessible for any client. It was also reasonably to amend visualisation of vector data with satellite images, for example distributed by Google Maps webservices. This solution, is known from mashup services, allows for attractive and useful presentation of selected areas.